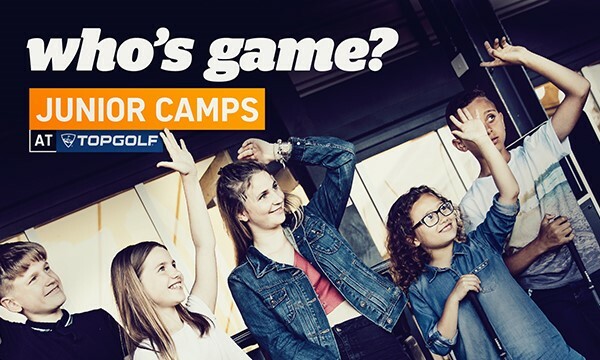 Based at Topgolf in Surrey, and designed for all levels of golfing ability, Junior Camps are the perfect introduction to golf. Junior Camps run from 9am to 3pm during school holiday periods every Monday, Tuesday and Wednesday, excluding Bank Holidays. *To take advantage of the multiple day offers, the days will need to be during the same week and cannot be split over more than one week. 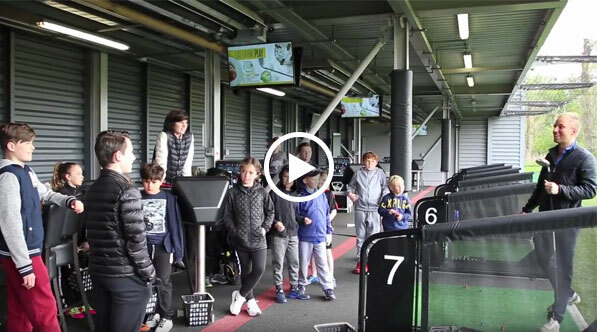 WHAT DOES A TOPGOLF JUNIOR CAMP INVOLVE? Every day at Topgolf coaching is a #letsplay day. Our unique concept of Topgolf combined with our fun mini games, local golf courses and other fun activities allow us to vary the learning experience like no other venue! Our Topgolf camps give all levels of ability the chance to have fun, learn new skills and make friends. We also ensure there are not more than 8 kids per coach (max 24 kids per day) so that your child receives excellent standards of coaching to suit their ability. 9.15 - 10.30: Set up and basic golf swing for all plus Topgolf games (Juniors divided in to groups depending upon numbers). 14.30 - 14.45: All stations to combine for an end of day mixed competition. All camps attendees receive a Topgolf Challenge booklet filled in by the coach and given to the parents. Check out the player booklet for more information on how your child can continue their fun and learning with Topgolf. Topgolf Surrey is based in Addlestone, Surrey. We're just off junction 11 of the M25, not far from Weybridge and Woking.